Often called the Yellowstone of Costa Rica, stands at 6,653 feet and is the highest peak in the Guanacaste Mountains (Cordillera de Guanacaste). The scenic drive from your hotel will take you through rolling hills to this hidden gem, a natural wonder located near base of Miravalles Volcano. 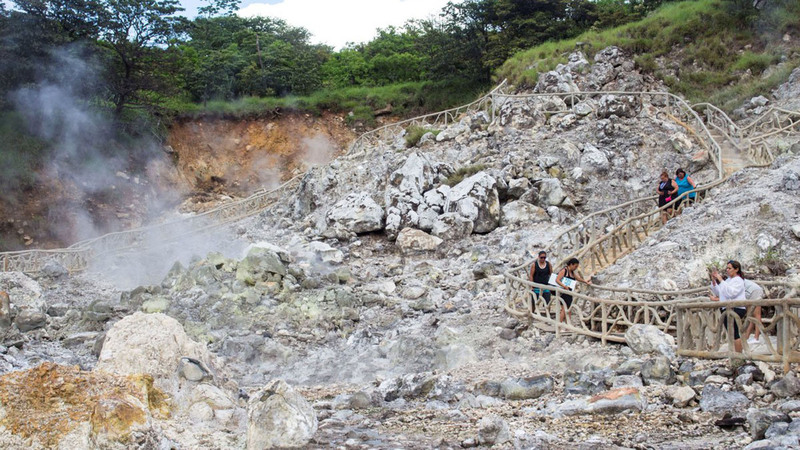 Although a dormant volcano, Miravalles has earned protective status due to its surrounding tropical vegetation and geological activity: steam spewing fishers, sulfur springs, and bubbling mud pools. An underground reservoir is the site of a geothermal energy plant at Las Hornillas that converts resident steam to electricity. 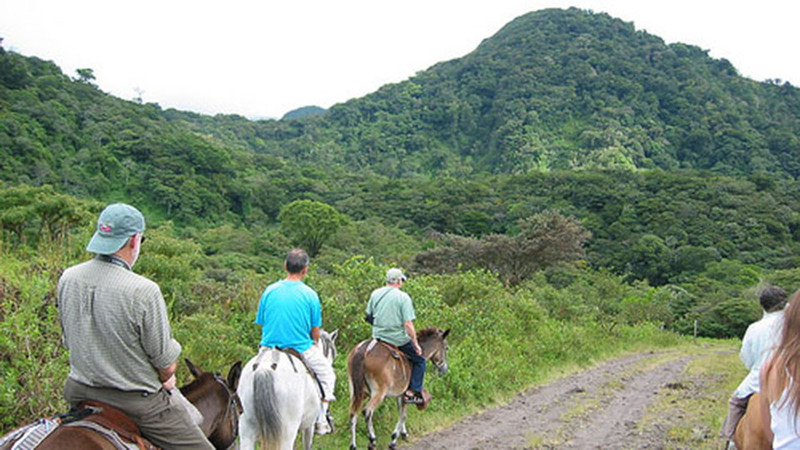 Enjoy majestic views of Miravalles Volcano, and after you arrive, you will go by horseback (or short carriage ride) to the hanging bridges where you will embark on an easy 30-40 minute hike to the waterfall. Afterward, you will head back the main setting to see the steaming fumaroles and beauty of the crystal formations of this “Yellowstone of Costa Rica.” Resident animals and birds offer additional photo opportunities. Then it’s time to slather your skin with warm, volcanic mud that is great for your skin before you kick back in restorative thermal pools. After a shower, you can change into your dry clothing in provided dressing rooms. You will finish the day with lunch before your guides return you to your Beach Hotel.